Cube Cities works with building automation software that can export building security data from motion and sound sensors. The graphic above is an illustration of commercial buildings in the Sixth & Rockefeller submarket in Midtown Manhattan. Green indicates detected movement on a floor and red indicates detected sound levels above normal room conversation (60 dB). 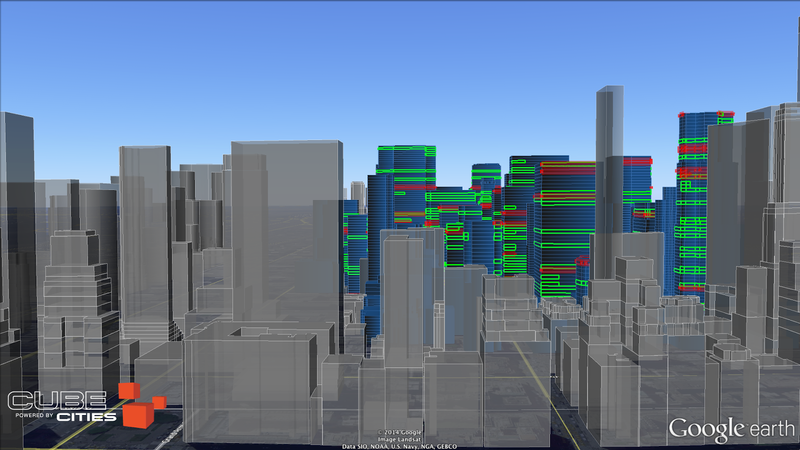 This visualization is generated from private data sources and can be customized for tenants or property managers to learn more about their buildings. 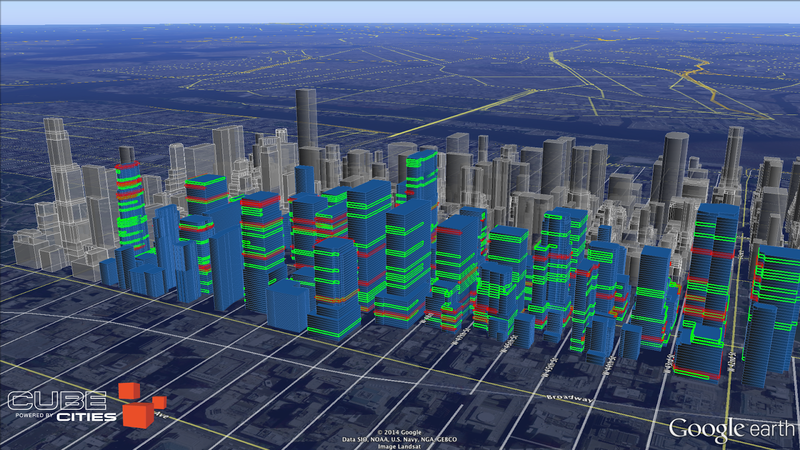 These 3D visualizations can be explored from any perspective. Here is the same data as seen from Central Park South.